In the past, hitting age 65 meant that said goodbye to your job and said hello to retirement. These days, though, as people are living longer than ever before, the idea of abruptly stopping work at an arbitrary point can be offputting—not to mention financially infeasible. But working full-time well into older age doesn’t hold a lot of appeal either. That’s why work flexibility works when it comes to career longevity. You can continue working, but on your terms. That might mean reducing your schedule and becoming a part-time worker, working from home if getting into an office proves challenging, or even just packing it all up and taking work with you as you digital nomad your way ‘round the world. If you’re not ready for retirement but are ready for better work/life alignment, these reasons for wanting work flexibility might resonate with you. Because sometimes retirement isn’t always it’s cracked up to be. Because you can’t afford to retire. Retirement in today’s economy is tricky. Many boomers are finding that even if they want to retire, they simply can’t financially afford to. But having a part-time job or even freelancing can help supplement income and make semi-retirement a more feasible reality. Because you just don’t want to retire. 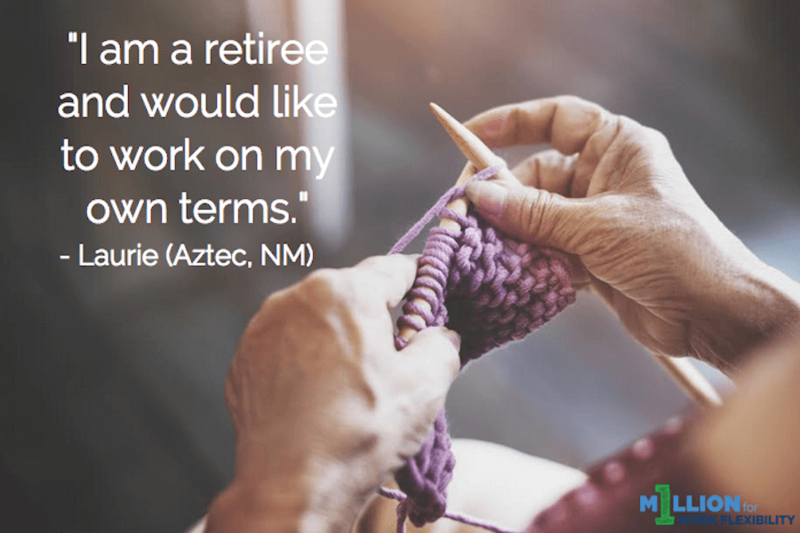 While some workers welcome retirement, there are plenty of other people who feel like they’re just getting started in their golden years. Because work gives you purpose. Over the course of your career, you have probably amassed a wealth of skills, experience, and education in your chosen field. The career longevity that flexible work provides means that those skills don’t have to become stagnant due to retirement. Because it allows you to support—and be involved with—family. Modern families take all different shapes. Working parents know how tough it is to tackle a heavy workflow and attend to their family needs, too. For grandparents who are raising family members, that juggle can be even more difficult. Work flexibility allows them to offer support both financially and emotionally as well. Career longevity no longer means working in one job for 30+ years and then signing off. With the help of flexibility, working well into your golden years can be something to be excited about, rather than a burden.